Rajeev's World: Ein Deutscher Festessen!!!! A few years back, my sister visited Frankfurt and got back a giftpack of sauerkraut and wursts for me. 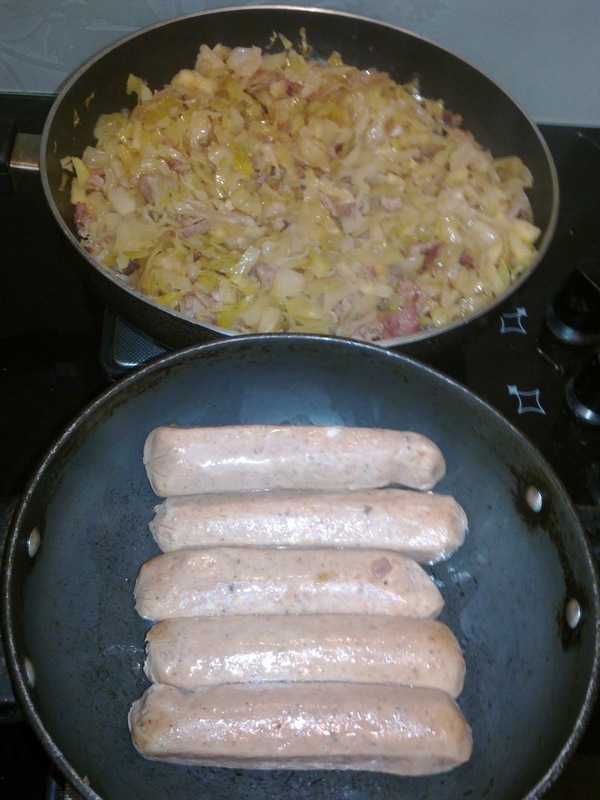 Then a few months back, I got this thought of reading about sauerkraut and making an attempt to prepare it. Two cabbages were finely chopped and put into a glass container, mixed well with rock salt and a few drops of water. The cabbage was left to ferment for nearly a month in a cool dry place. 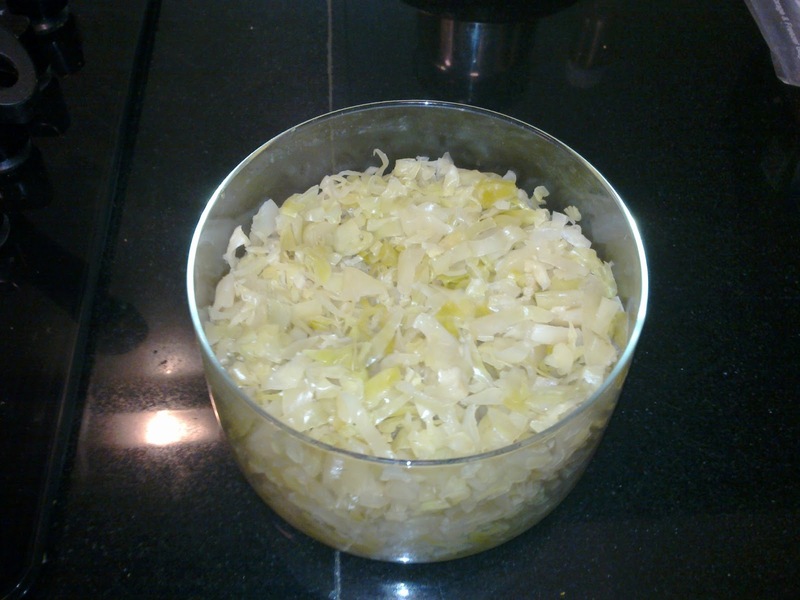 Sauerkraut, which essentially means "sour cabbage", that has been fermented by various lactic acid bacteria, including Leuconostoc, Lactobacillus, and Pediococcus.The fermentation induced acidity gives sauerkraut a long shelf-life and a distinctive sour flavor. 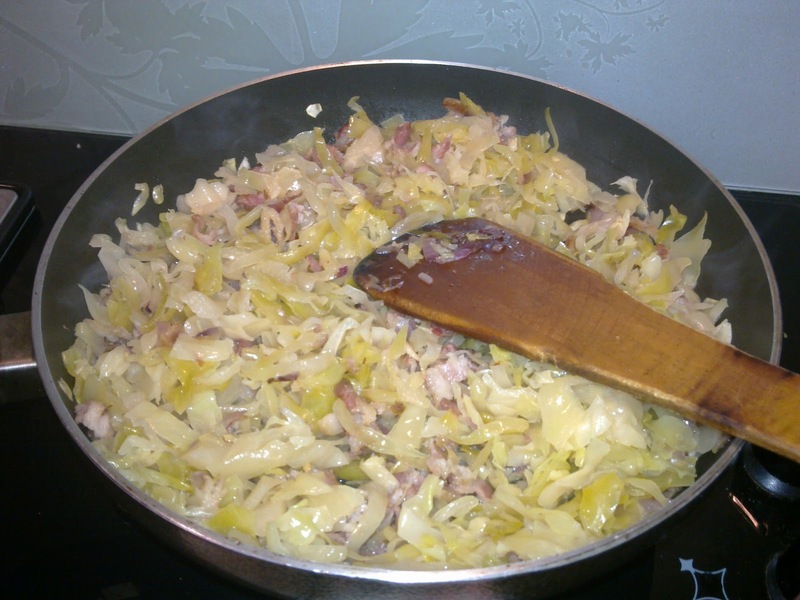 In the Middle Ages, this a preservation technique for cabbage, to be consumed during the long winter months - sauerkraut provided a source of nutrients during the winter. It is believed that Captain James Cook always took a store of sauerkraut on his sea voyages, since experience had taught him it prevented scurvy. Some research points to this probiotic preparation having anti-cancer properties. This week, we removed the lid from the vessel and there it was - the distinct aroma of fermentation! 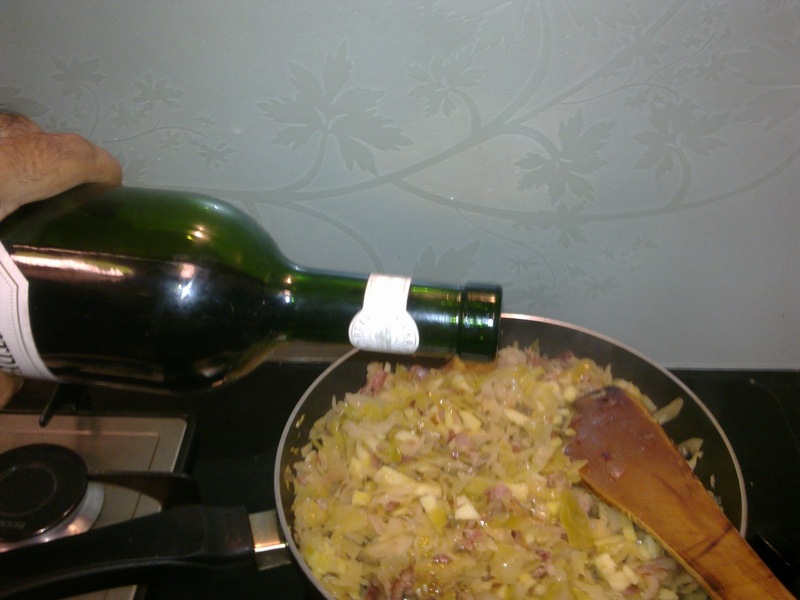 The time was ripe to get cracking - onions were finely chopped alongwith two cloves of garlic and that went into a few drops of heated olive oil. 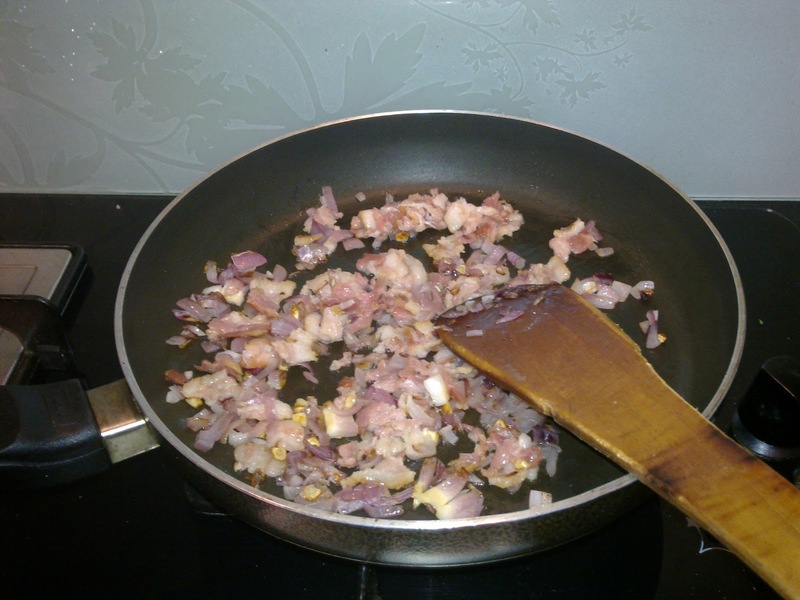 Into that went in five rashers of bacon, finely chopped. After the bacon was done, we added the sauerkraut and mixed it well! After about 10 minutes in the pan, we added a teaspoon of sugar, one chopped apple and a dash of wine. 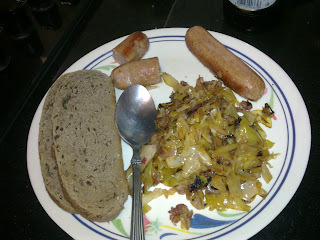 We had sauerkraut with pan-fried sausages, rye-bread and mustard, German style! The sauerkraut was a bit too salty - maybe it would have tasted a little better if we had drained the sauerkraut through cold water to wash out the excess salt! That was a good lesson learnt. But in any case, it was a German feast for us - Ein Deutscher Festessen!!!! A Delectable Afternoon In "Town"
Probably, That's What Love Is! Bonne année! & ¡Feliz Año Nuevo!